Several years ago my mother and her husband visited Portugal for their honeymoon. They spent 10 days touring the country and checking out all of the wonderful things that Portugal has to offer. Once they returned from their honeymoon, they threw a little party and invited the family over to see all of the photos that they took and to hear all of the stories they had to tell. From that day, I have always wanted to visit that beautiful country and perhaps some day I will. In the meantime, I can enjoy the photos and stories that others have to tell. Recently one of the PR companies sent over this information on the Martinhal Beach Martinhal Beach Resort & Hotel in Portugal that I wanted to share with all of my travel blog readers in case they are planning a trip. I am not affiliated with the company at all and just wanted to pass along all of the information to all of you. The Algarve has unique conditions for surfing and windsurfing. At Martinhal Beach Resort & Hotel, surf adventures are available for the whole family, from beginners to experienced surfers. Martinhal Beach Resort & Hotel is the first 5-star surf destination in Portugal. Located in Sagres it has been recognized as one of the best places to surf in Europe. The winter is great for surfing, as the Algarve is known for its sun and mild temperatures in the mid 60s all winter long. Located in the heart of great ocean surf and with the Atlantic Martinhal beach on its doorstep, Martinhal Beach Resort & Hotel offers surf adventures for all the family. Experienced surfer instructors provide surf lessons on a daily basis for different ages and skills, keeping everyone focused on catching the best wave. During the lessons, kids and adults will learn about surf safety information, ocean awareness and different surf techniques needed to stand on the board. All the necessary equipment is included. The resort features a 37 bedroom 5-star hotel and a selection of more than 150 spacious 1 to 5 bedroom Villages, 4 heated pools, gym, Spa with Jacuzzi, steam room and sauna, tennis courts, kids clubs, 3 restaurants and a family surf bar. It also offers plenty of open space providing the perfect conditions for light cardio such as jogging, cycling or a morning walk back-dropped by the Atlantic Ocean sunrise. Sagres is becoming recognized as one of the best surf spots in Europe, offering both south and west-facing coastlines and therefore providing fine surf conditions whole year round for all surfer levels regardless of the swell and wind direction. There are 22 beaches within a 30-minute drive from the resort. For beginners, the best beaches are Castelejo, Amado, Carrapateira and Arrifana. More experienced surfers can enjoy beaches at Ponta Ruiva, Cordoama and Vale Figueiras. Martinhal Beach Resort & Hotel opened in 2010 and has quickly established itself as THE leading luxury holiday destination for families. Located close to the historic town of Sagres, on the Western Algarve, Portugal, this region is a year-round resort area. The 100-acre beachfront resort is the epitome of barefoot luxury for couples and families - with an elegant spa, extensive range of childcare and leisure facilities, sports clubs and several restaurants and bars to choose from. The resort is surrounded by the Costa Vicentina National Park and was recently awarded a Europes Leading Villa Resort and Portugals Leading family Resort at the World Travel Awards 2013. 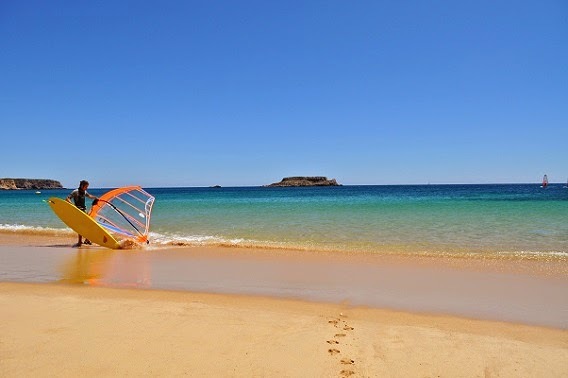 For more information about booking or the Martinhal Beach Resort & Hotel visit www.martinhal.com or call +351 282 240 200.